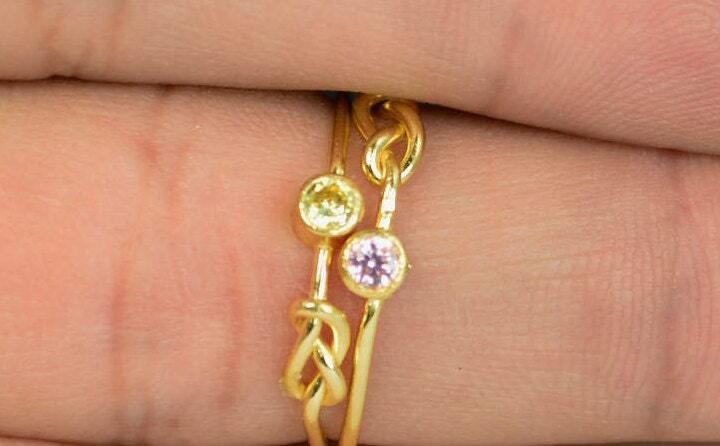 This ad is for 1 gold filled infinity knot mothers ring. Select the number of rings you want from the "quantity" pull-down. 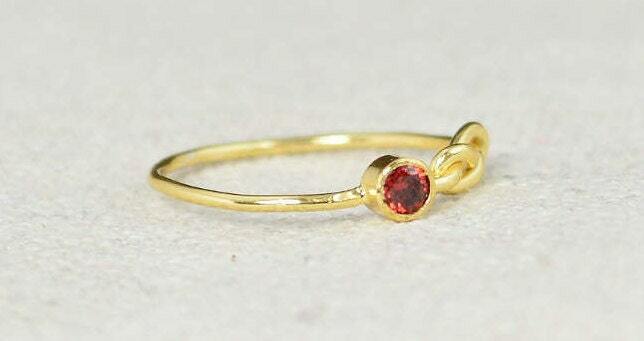 - Delicate strand of knotted gold with a precious gemstone. 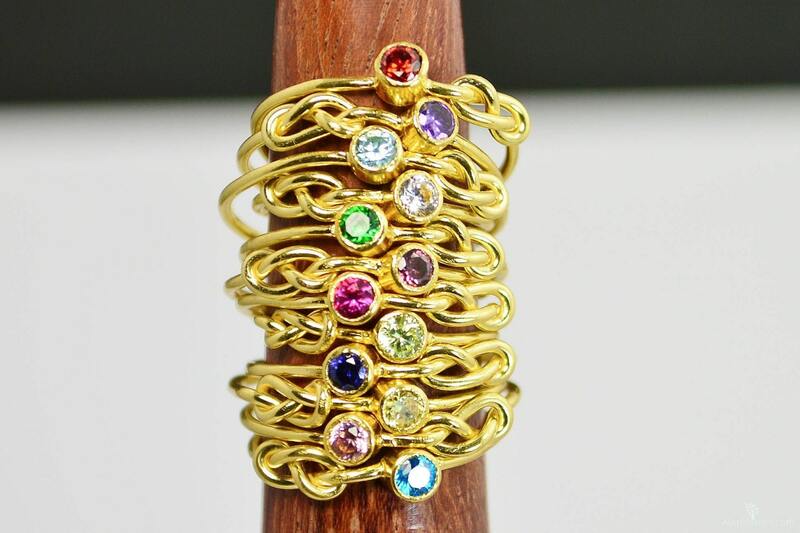 Each ring is made with high quality American Made 14k yellow gold filled wire, and contains 100+ times more real gold than quality gold plated pieces. Durable & tarnish resistant, these rings are suitable for daily wear. Gold filled rings are beautiful, affordable alternatives to solid gold, and can be worn by people with sensitive skin.